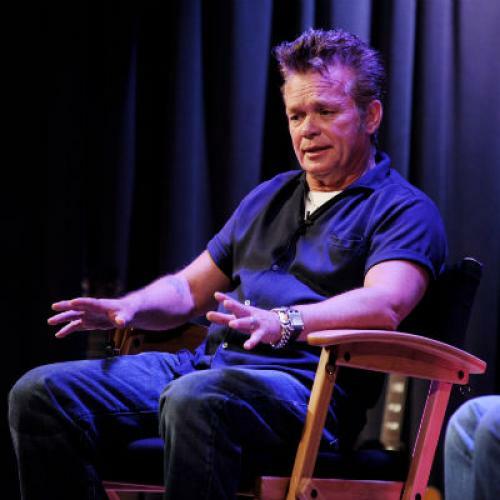 John Cougar Mellencamp, country music crooner and defender of old media, has had it with all that music floating around for free on the internet these days. Last week, he took to the Huffington Post to air his disapproval, in a column that so perfectly encapsulates the enduring mentality of analog incumbent industries that we thought it worth closer read. This would imply that the entertainment business has never before adapted to new platforms for distributing music and movies. And yet, FM radio, tape recorders, and the Walkman all forced the music industry to change. Let’s talk instead about the indentured servitude of artists to major labels who produce records to be as commercially palatable as possible in order to support massive operating costs. Sure, there was a time in the past when it was easier for musicians to make money. But that period was not so long and not so great for everybody as you suggest—only about 25 years, if Mick Jagger is to be believed. According to the recording industry’s own numbers, the sector grew from $132 billion in revenues in 2005 to $168 billion in 2010. The record labels' revenues from digital music grew 5 percent in 2010 and another 8 percent in 2011. Somebody’s making money here. Nielsen reports that only 28 percent of internet users globally use illegal music services on a monthly basis. That's not insignificant, but it leaves quite a bit of market share for paying business. Here’s what they also did: Having tried and failed to keep their artists from playing on the radio in the 1920s, record companies came up with high-fidelity technology that just sounded better, and allowed them to keep selling records. Real progress comes from innovation, not squashing anything that threatens your cash cow. Where are they? In court and on Capitol Hill, constantly, for the past decade. Killing Napster, Limewire, and Kazaa. Suing thousands of individual downloaders. Trying like hell to pass anti-piracy legislation, and failing after internet users rose up in opposition (even movie industry chief Chris Dodd admits SOPA and PIPA aren’t coming back). They could have saved themselves a lot of trouble (and money) by instead working on new models for distributing their content. Wrong analogy: The search engine doesn’t profit when songs are downloaded, legally or illegally. Rather, it’s more like UPS, which sends and delivers what people want. Would you sue the big brown for carrying stolen goods? Just like you’re endorsing the breast enlargement ads on the side of my screen right now? Except that now, some states are legalizing online gambling because it’ll generate more revenue when regulated and taxed—not to mention create thousands of jobs. It’s not the state’s job to privilege one revenue model over another. Shorter Mellencamp: The U.S. government should put the same resources into going after people swapping music on the internet as it does pursuing terrorists. Actually, it’s not that easy to automatically identify music that’s being distributed without the creator’s permission, which is why search engines rely on content owners to submit claims. Google is already using those claims to demote websites that repeatedly violate copyright protections. Going around shutting down data centers for every stolen song that slips through would just take out large chunks of the rest of the internet, to little effect.